Create a competitive advantage with cognitive computing, and see how IBM has brought back innovation with the OpenPOWER foundation. 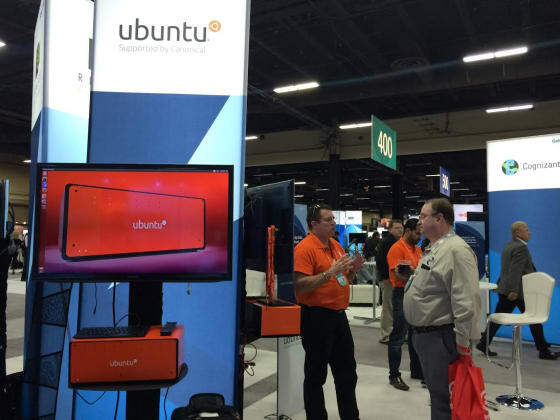 Last week we attended IBM InterConnect 2016, where we showcased Ubuntu OpenStack, MAAS and Juju on IBM Power Systems. There is a natural synergy between the POWER architecture and Ubuntu, as both are designed for running data intensive, scale­ out workloads. Ubuntu is a platinum member of the OpenPOWER foundation, an organization that has committed to creating an open ecosystem for full­ stack innovation of data centre technology. The POWER architecture is a core element of this ecosystem, providing a server­ class building block allowing data centres to rethink their approach to technology. Ubuntu is partnering with IBM Power Systems and OpenPOWER to bring the POWER8 architecture into the mainstream of devops practices and cloud operations. Our participation in the OpenPOWER Foundation, along with our agile development, release cadence, and alignment with OpenStack, enables unprecedented innovation. In this short video featured at IBM InterConnect, Mark Shuttleworth talks about cognitive computing, which he sees as the number one workload to create competitive advantage, and how the OpenPOWER foundation has enabled IBM to bring innovation back into the data centre.